Hey Friends! Happy Saturday! I am super excited to be partnering with Loft this Memorial Day! Let's kick off the weekend with a fun all-American outfit! Who’s ready to celebrate the official kick-off to summer? I know I am! There is something about white denim shorts that just screams Memorial Day to me. You can shop my shorts here. They fit perfectly! I would size down one size since I am wearing a 24. 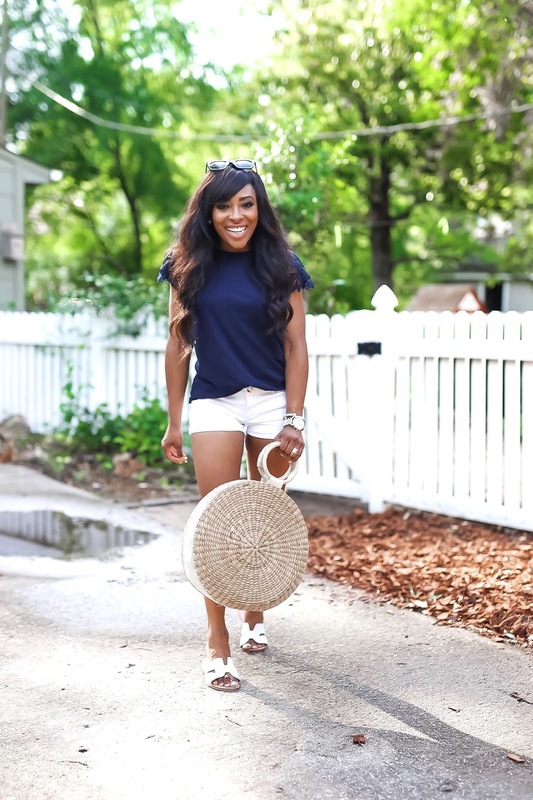 I'm a firm believer that a fun pair of white denim shorts can quickly pull a summer outfit together. Cutoffs are also perfect to wear to a Memorial Day cookout because this wonderful day officially marks the beginning of summer! 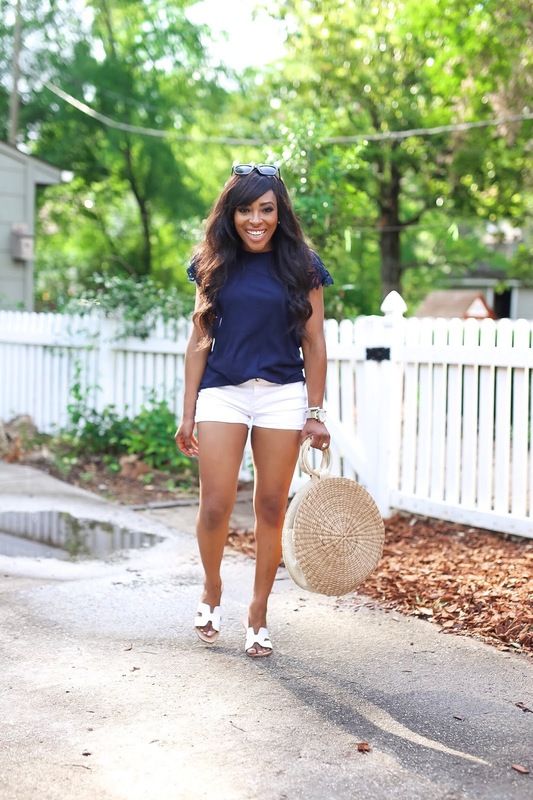 Now on to this amazing top, it’s flirty, fun, casual and extremely versatile. This top is great for worch (work + church). It can easily be worn from day to night! 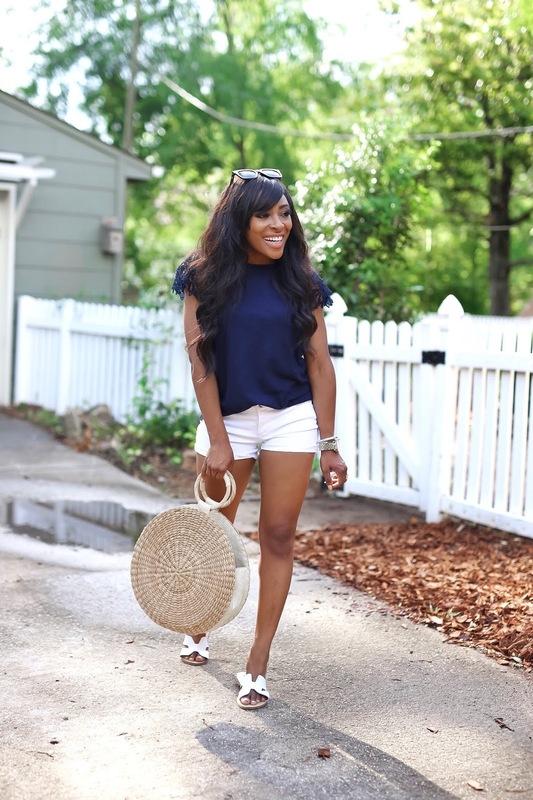 I finished my look off with a fun straw bag and my favorite white slides. This look is super versatile for such a fun holiday! 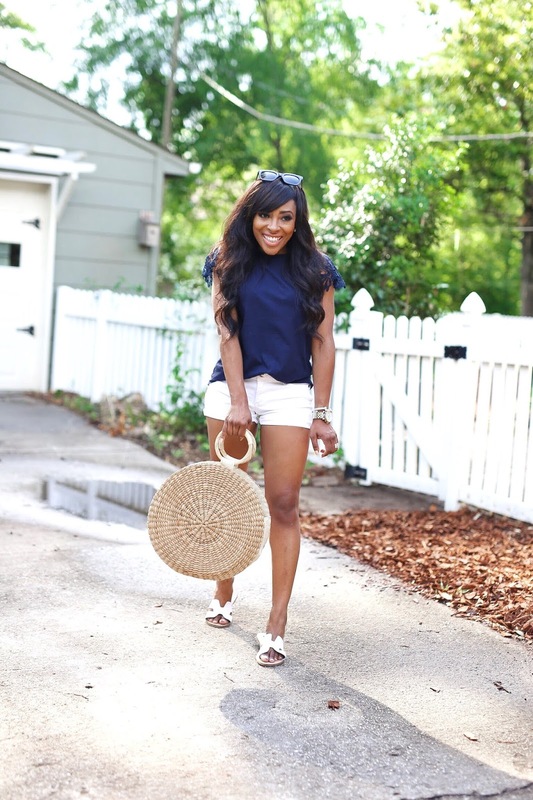 Whether you're spending the weekend shopping (like me ha-ha), heading to the lake, beach or chilling poolside, this look can go just about anywhere. And you can easily throw on some sneakers to give it a "Sporty Spice" flavor! Oh, by the way, Happy Memorial Day Weekend Y'all - I hope everyone has fun plans or at least plans to relax a little. Check out all my Red, White, and Blue Loft picks at the bottom of the post! Happy shopping!